In the five years I've been planning kid parties, this was the EASIEST and MOST FUN we've had yet... and I even made the cake! I even had party guests comment about how fun it was and they were REALLY interested in having parties just like ours. Our eldest son turned 5 on Christmas Eve, so we always work really hard to keep his birthday special and separate from Christmas. It was so easy to do with Chuck E. Cheese, and they were open all day on Christmas Eve. 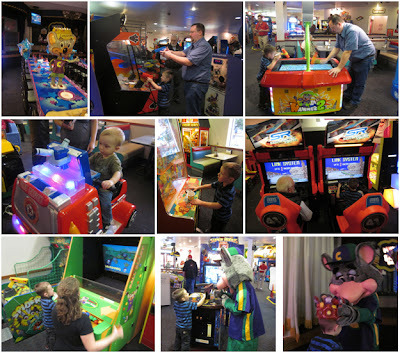 The fun and games to be had at Chuck E. Cheese! I started by reserving my party time online. I chose an early time, and got 100 bonus tickets for choosing an off-time. 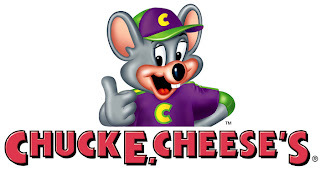 Once my reservation was finalized (I paid a $30 deposit), I received a call from the Chuck E. Cheese party planner/coordinator at our location. She was so helpful and thoughtful! We talked through the party and figured out exactly what I needed to do in order to be ready. She also called again the day prior to the party. In most cases, you won't have to really do anything except decide what you want at your party (food, party favors, balloons, etc). In my case, I wanted to make the cake myself and bring ice cream and a few extras to add to the party favors. The Candyland Brownie Cake I made for Logan's 5th Birthday! The staff at Chuck E. Cheese made this the easiest party I've ever thrown. They helped me carry things to the table and set up, then helped keep the party on track, and coordinated bringing out and serving the food and the birthday celebration (Chuck E. coming to our table, singing, cake, etc). They even made sure everything was going great the whole time we were there, then they took care of the cleanup! I think my all-time favorite part of this party was that my normally EXTREMELY shy son was so at ease with the staff and Chuck E. that he got up with Chuck E. Cheese (normally he will hide behind me, so this was an unknown territory for us) and even danced with him and did the Ticket Blaster all by himself! People were AMAZED! It just goes to show how much fun he had! As a bonus, Christmas Eve was quieter than normal weekend days at Chuck E. Cheese and we got to stay at our table until we left as there were no parties scheduled after ours that needed the space. 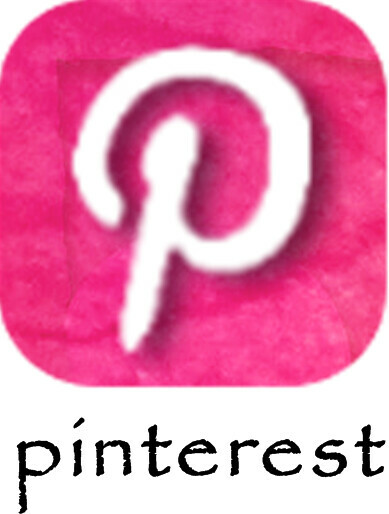 Their website also has great activities and printables, as well as a great coupon page! We will certainly be doing more events and celebrations (as well as just having some plain old fun lunches/dinners and play) at Chuck E. Cheese! One other huge plus in my eyes are the security measures Chuck E. Cheese has taken to ensure kids safety: Kid Check. As you arrive, your hand is stamped with a number that matches the kids you enter with (so make sure you are the one who will be leaving with your kids!). They will NOT let you leave with a child whose stamp does not match your own. There is someone at the entrance at all times. 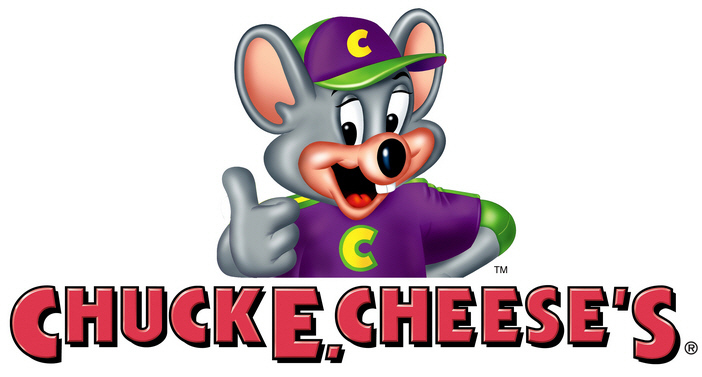 Have you had fun at Chuck E. Cheese? I hope you'll leave a comment and tell me about it - feel free to leave a link too if you've posted about it! See Nemo in 3D! 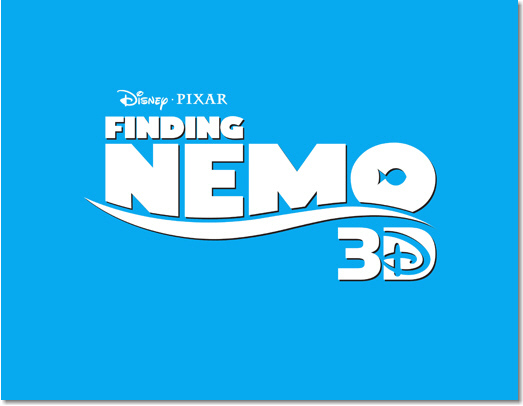 Watch The Official Finding Nemo 3D Trailer ~ Just Released!! 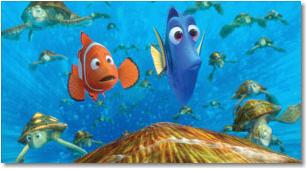 ·“Finding Nemo” won the 2003 Academy Award® for Best Animated Feature. ·The film won a Golden Globe® Award for Best Motion Picture–Musical or Comedy. 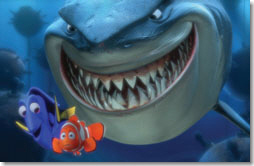 ·At the time of its release, “Finding Nemo” was the highest grossing G-rated movie of all time. ·Ellen DeGeneres won an MTV Movie Award for Best Comedic Performance. ·In 2008, The American Film Institute named “Finding Nemo” among the top 10 greatest animated films ever made. Pixar Animation Studios’ classic “Finding Nemo” returns to the big screen in Disney Digital 3D™, introducing a new generation of family audiences to Nemo (voice by Alexander Gould), Marlin (voice by Albert Brooks) and Dory (voice by Ellen DeGeneres). Need to view the official trailer in another format? Here are more! Trailer information and pictures were received from Disney Studios along with permission to share with my readers! The Perplexus Rookie has been a huge hit in our family, from our 2 year old to grandparents and friends! (Ok, so the 2 year old thinks it is neat and likes to roll it around and watch the little steel ball inside) Our 5 year old will really concentrate and see how far he can get the steel ball, and what started out with a tiny bit of frustration now provides loads of fun and quiet time. I have left the Perplexus Rookie on our coffee table and I'm amazed that everyone who picks it up has a blast trying to get the little steel ball as far as they can. Every now and then I hear numbers being shouted out because people are so thrilled at how far they are getting in the maze. There are 75 sections of the maze, and some are VERY challenging. You have to turn and twist the ball just right to keep the ball in the puzzle without having to start over. Players beware - sometimes the people wanting a turn get a little impatient and they try to see what they can do to get you to drop the ball off the maze so they can have their turn quicker. This fun 3D puzzle is fun AND it is great for improving dexterity, thinking, problem solving, sharing, quiet-time, providing entertainment at get-togethers, etc. In the box: You will get a little plastic stand to set the Perplexus Rookie on when it is not being used, and the Perplexus Rookie itself. The stand keeps the ball from rolling away, and also lets you pause your puzzle as long as no one else comes along to pick it up. The Perplexus Rookie is a fully enclosed plastic ball that is filled with a 3D puzzle. The puzzle has a start and finish, with 75 stages in between the two. The object of the puzzle is to navigate a small steel ball through the maze from start to finish without the ball falling off the maze. There are two other versions available as well: the Original and the Epic Perplexus! Edition Reviewed: Perplexus Rookie - Review sample received courtesy of the manufacturer, many thanks! From the Perplexus Site: Perplexus Rookie introduces you to the world of Perplexus and a whole new realm of perplexity! Perplexus Rookie will develop your skill as you learn to bend, twist and turn your way around the gravity defying barriers. Once you try it, you won’t want to put it down! From Amazon: Perplexus Rookie will introduce you to the three dimensional, gravity defying world of Perplexus challenges. Flip, twist and turn the sphere to navigate the steel ball along the numbered tracks through 75 barriers of varying difficulty. Perplexus Rookie is easy to play but still challenging to complete. A domed finish keeps the ball in place at the end to secure your success! Fun for the whole family. 6 1/2" in diameter. The concept behind PERPLEXUS was created by 3-D design teacher Michael McGinnis in the late 1970′s as a project for an art class. Michael envisioned turning his creation into a toy. He had no idea this vision would turn into a decades long odyssey to get the game to market. After almost 20 years, Michael met the inventors at KID Group, one of the premier inventing houses in the toy industry. They collaborated on the design to make it more suitable for consumers. It was finally ready. The original product was marketed as Superplexus. In 2008, a group of enthusiasts contacted KID Group about licensing Superplexus. Busy Life, LLC acquired the rights to Superplexus and launched PERPLEXUS in its current form. Real Steel Comes Out on DVD and Blu-Ray This Week! We're Picking It Up - Are You? If you go to the movie's website here, you can print a $5.00 coupon good towards the DVD/Blu-ray/Digital Copy version of the movie. Enter the not-so-distant future where boxing has gone high-tech -- 2000-pound, 8-foot-tall steel robots have taken over the ring. Starring Hugh Jackman as Charlie Kenton, a washed-up fighter turned small-time promoter, Real Steel is a riveting, white-knuckle action ride that will leave you cheering. When Charlie hits rock bottom, he reluctantly teams up with his estranged son Max (Dakota Goyo) to build and train a championship contender. As the stakes in the thrill-packed arena are raised, Charlie and Max, against all odds, get one last shot at a comeback. Visually stunning and complete with knockout bonus material, Real Steel is a pulse-pounding, inspirational adventure filled with heart and soul. Review and Giveaway: Diamond Candles (A Ring in Every Candle) Wonderful Soy Candles With a Special Jewelry Surprise Just For You! If you haven't burned a Diamond Candle, let me tell you this: It is a wonderful experience... from the beautiful scent, the clean burning candle, and the surprise ring found in each candle (each candle has a surprise ring that you pull out as it burns, and the value ranges from $10, $100, $1,000 and $5,000). Diamond Candles are soy candles, which burn cleaner and longer than parafin candles, and they are more earth friendly as they are made from soy beans, which are both a renewable resource and biodegradable. They are available in over 26 scents. I got to review the Fresh Snow scent which is a combination of peppermint, patchouli and eucalyptus (but I think it smells more like egg nog and sugar cookies). I let my candle burn for quite a while and at the earliest possible moment, I pulled the ring out of the wax using a wooden chop stick. The ring was wrapped in foil and laying near the golden seal that you can see from the outside of the glass jar. I layed it on papertowel and gently opened the foil to reveal a beautiful ring (pictured below). I'm sure it is one of the $10 rings, but it is still fun and really pretty! Edition Reviewed: 21 oz. Fresh Scent Candle - Review sample received courtesy of Diamond Candles, many thanks! You can take a tour and learn more about us here, watch some 'ring reveal' videos, or go ahead and take the plunge and get your first soy candle! Diamond Candles was founded in January of 2011. The founders had a desire to make buying candles fun again, while at the same time, make an attractive and earth friendly candle that you would be excited to use in your home. There is a ring worth $10, $100, $1,000, or $5,000 in every earth friendly, all natural soy candle we make. We are coming to a retail shelf near you, but in the meantime you can order directly from our website here. Once you burn your candle down and find your ring, head over to facebook and upload a photo or video of you and your ring for everyone else to see! 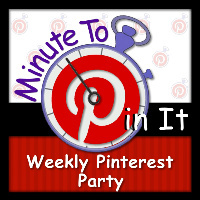 Welcome to week 5 of our Pinterest weekly feature, brought to you by Samantha from Have Sippy Will Travel, Staci of 7 on a Shoestring, and Wendi, here at Wendi's Book Corner: Minute To Pin It: A Weekly Pinterest Party. Check Out Hasbro's Annual Fun and Game Event Going On Now! Are you looking for great savings and amazing daily deals on some of your favorite Hasbro toys and games, then check out Hasbro's Annual Fun and Game Event going on now! You can register today at www.hasbro.com/fun to print over $125 in coupons (quantities are limited, U.S. only) and get access to incredible daily deals. All daily deals include free shipping! Kids, ages 6 - 13, can also get in on the action by playing games for a chance to win hourly prizes from their favorite brands, such as My Little Pony, FurReal Friends, Littlest Pet Shop, Beyblade, Nerf, Transformers, Connect 4, Bop It! and Simon Flash. 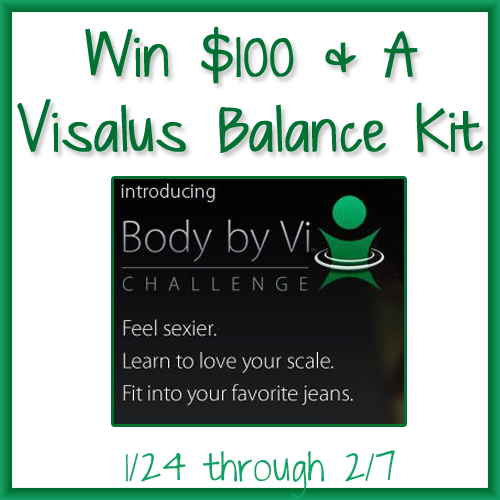 Bloggers - Here is a Giveaway Opp You Can Participate in For FREE! ViSalus is committed to championing Life, Health and Prosperity around the world – supporting people to achieve whatever personal victories they set their mind to. 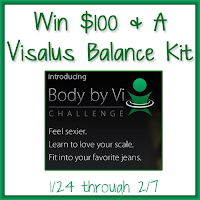 Bloggers - you are invited to participate in a Giveaway for $100 and a Visalus Balance Kit! 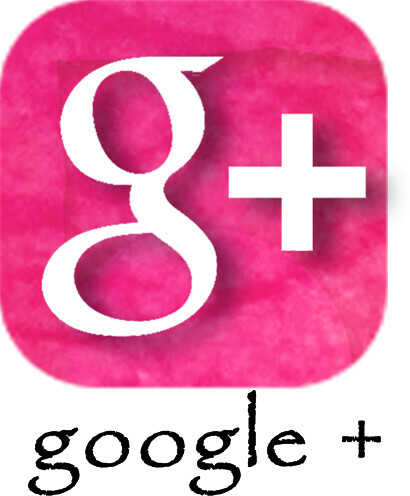 It is FREE to join, and will help you gain fans for your Facebook page! By promoting this event (Do a blog post...) and then posting the Giveaway you will receive one Facebook entry per blog you participate with. 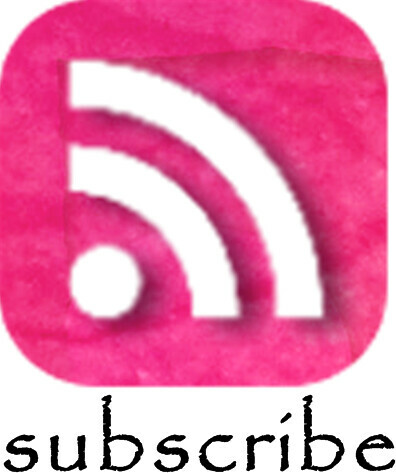 Simply promote the FREE event letting your fellow bloggers know about it so they will sign up and we can all benefit from our combined influence. 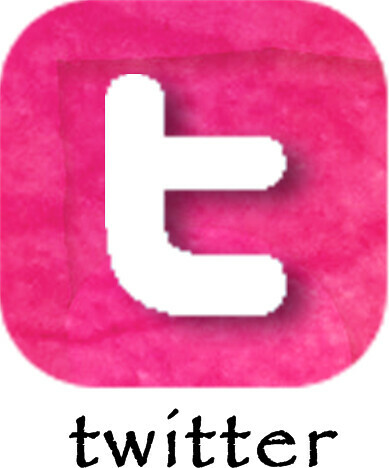 All bloggers are welcome! There is no minimum stats or maximum amount of bloggers allowed. Visit Two Little Cavaliers for all of the details. Across the United States many people have been affected by the fact that Express Scripts has not continued its partnership with Walgreens as part of its pharmacy provider network. This means that people whose prescriptions are covered by Express Scripts can no longer utilize their normal Walgreens pharmacy and the pharmacists they have come to know and value. It also means that people are having to find new pharmacies that may not be as convenient to their home or work. This decision also affects approximately 6 million military beneficiaries who are covered by Tricore, which is part of the Express Scripts coverage. For more detailed information, read the December 8, 2011 Walgreens press release detailing some of the happenings between Walgreens and Express Scripts. So far, over 250,000 Tricore beneficiaries and supporters have signed petitions asking Express Scripts to re-negotiate its contract with Walgreens. If you are one of the millions affected by this action, you can contact your local media outlets to voice your concerns and dissatisfaction. Walgreens wants to help those affected, and they are offering discounts on their Prescription Savings Club at Walgreens for those who join between now and January 31, 2012. Discounted rates are $10/family, $5/individual - see the link for details and more information. Every year I set some personal goals: eat more veggies, lose weight, feel better, have more energy... this year, I've decided that all I really want to do is improve my physical health (exercise more regularly and work on my tummy and back muscles, which were affected by a lengthy bedrest due to pregnancy complications). If I do this one thing, my thought is that all the others will be affected too. I was really excited when I heard about Cafe Well, which is an online social network designed to help you get and stay healthy by providing wellness programs and activities that work by getting you involved. They have groups and communities that focus on specific health related areas, along with challenges, all of which you can browse and join in! One of the current corporate wellness programs they have going is Race to the Moon, where members of HealthAmerica can join in and participate for a chance to win some really great prizes (Two people are going to win trips to Hawaii!)! So far, in under one month, members who have joined have walked over 5 Million steps! That is really impressive! If I was going to create a health challenge, I think I would focus on increasing time spent doing physical activity - ie, walking, running, working out, taking stairs, anything you can track that will show how much physical activity is being done and how much I'm increasing. I think a challenge with friends would make it a lot of fun and keep me involved. Would anyone like to join me and create a challenge? Maybe an activity-based challenge or a fruits and vegetables challenge? What do you think? Welcome to week 4 of our Pinterest weekly feature, brought to you by Samantha from Have Sippy Will Travel, Staci of 7 on a Shoestring, and Wendi, here at Wendi's Book Corner: Minute To Pin It: A Weekly Pinterest Party. We've got a newly turned 5-year-old, and an almost 2-year-old, and I've been trying for some time to get them both on a really good, solid evening routine that covers setting good habbits, responsibilities, reinforcing healthy habbits... you know, put your dirty clothes in the hamper, not on the floor where ever you were when you put your pj's on, floss teeth, brush teeth, put away toys before bed, etc. There are times when I get that routine going really well, and then it seems to fall apart because I get sick, or we have company over or something derails us. UNTIL NOW. I've just been introduced to the wonderful Chore Charts at Goalforit.com, where you can customize chore charts for kids, teens, and gasp - yourself, and they are completely free! He got to customize the heading and choose the "stickers" he put on when he completed each task. 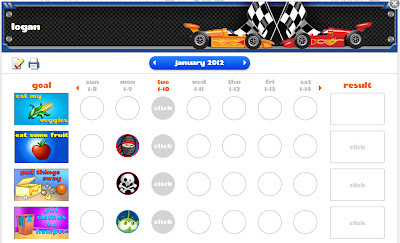 Right now we are tracking our progress online, but I'd like to get a few printed and pick up some stickers so we can hang them on the wall and the boys can put the stickers on themselves. And the best part? He so badly wants to be able to put the stickers on the sheet (online and in person, either way makes him happy), that he actively asked me if he could complete the things - this was one of the first times he ASKED to put his pajamas on, brush/floss his teeth, pick up toys, etc. I am amazed at how quickly and easily this got him on board with establishing a bedtime routine. Once this routine is established and going well, I'm going to add a morning routine! This is so great!! I'm also going to be taking the chore chart a step farther with the help of the online version by having a prize box with different color-coded prizes the boys can choose from based on how many points they earn each week. The best part is that the online chart can help you assign/track points, so it will be so easy to see where each boy is while earning fun prizes. Responsibility A Chore Chart is an ideal way to help your kids feel like they are making a contribution to their family by doing their part around the house. Understanding right from wrong; Setting behavior goals is an important way to help children strengthen their character and judgment. Healthy Habits Teaching good habits involving nutrition and physical activity are the cornerstone of prevent obesity in children and adolescents. Money Matters The optional point system teaches children three important lessons for managing money; earning, spending and saving. Not only can I create/edit chore charts for the boys, I can make them for myself. GoalForIt.com has also given me the ability to create goals and lists that are also trackable/update-able. You also have the ability to browse other's lists and goals for ideas to use yourself. 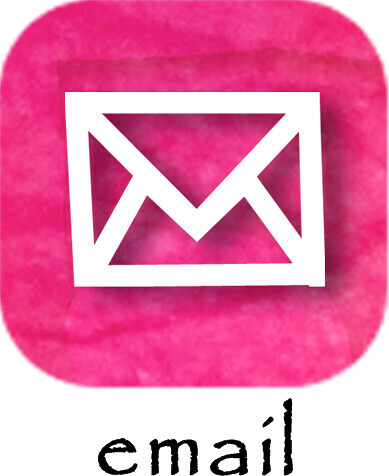 I've seen some great organizing and cleaning lists already that I plan to embellish with my own specific tasks. *Disclosure: Mom Select and GoalForIt.com have sponsored this post, but my opinions are 100% my own and I stand behind them. 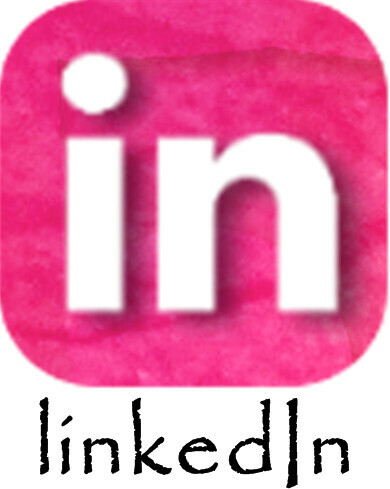 I'm proud to share this great resource with you! Welcome to week 3 of our Pinterest weekly feature, brought to you by Samantha from Have Sippy Will Travel, Staci of 7 on a Shoestring, and Wendi, here at Wendi's Book Corner: Minute To Pin It: A Weekly Pinterest Party.